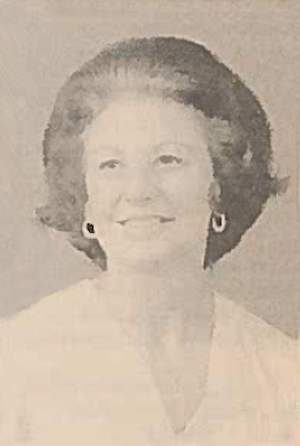 Obituary – Edgar, Virginia Effie (Matthews) « Perry High School Alumni Association, Inc.
﻿﻿Red Hots 47-48, Y-Teens 47-48, Band Queen 48-49, Band Secretary 48-49, Perry-scope Staff 49-50, Glee Club 49-50, Girls Trio 49-50, Class Assemblies 47-49. Virginia Edgar, Midland, TX, formerly of Perry, died Sunday, February 27, 2000 in Midland Memorial Hospital following a lengthy illness. Funeral services were at 10 a.m. Wednesday, March 1, 2000 at Ellis Funeral Home Chapel in Midland. Burial followed at Resthaven Memorial Park. Pastors Steve Calley and Betty McNerlin co-officiated. Arrangements were under the direction of Ellis Funeral Home. 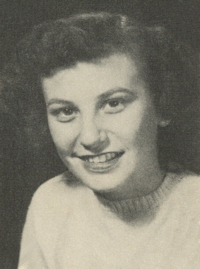 Mrs. Edgar was born April 23, 1932 to Miles Duncan and Maggie Mae (Gaines) Matthews in Konawa, OK. She graduated from Perry High School in Perry, OK in 1950. She and Max Edgar were married on September 5, 1953 in Perry. The family moved to Midland in 1972. She taught kindergarten for 18 years at the Assembly in Christ Christian Academy, retiring in 1997. She is survived by her husband, Max Edgar of Midland; daughter, Dawn and Harold Haro of Midland; sons John Edgar and Jennifer Prince of Lubbock, TX and Craig Edgar and Stephanie Simmons of Houston, TX; brothers and sisters, Chris Matthews and Mercedes of Perry, OK, Deanne and Rex Harms of Anchorage, AK, Sue and Nyle Myers of Woodward, OK, Gene and Margaret Matthews and Betty Gunn of Perry, OK; nine grandchildren, one great grandchild and nieces and nephews. According to her family, she was a loving wife, mother, grandmother and great-grandmother and inspiration to all who knew her.